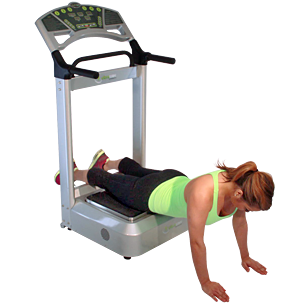 Lie on the plate facing down with your feet at the back of the plate. Position your quadriceps on the plate keeping your knees and torso straight. You should feel tension in your quadriceps, buttocks and back.